Firefighters have walked out on strike for the weekend in their bitter row with the government over pensions. Members of the Fire Brigades Unionin England left their stations at 6pm on Friday and will not return until 6pm on Tuesday, the evening before Bonfire night. Picket lines were mounted outside fire stations, and will continue throughout the next few days. Fire brigades again launched contingency plans, including hiring contract staff to cover for striking firefighters, but the public were warned to be extra vigilant, especially if attending firework events. 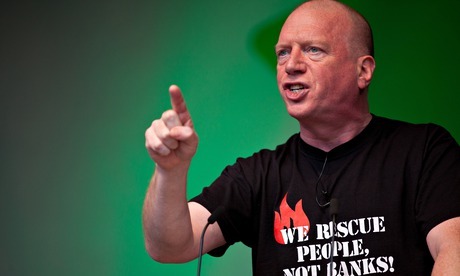 The West Yorkshire brigade warned that the service and the public would be left in a vulnerable position, telling people to take extra care to ensure their own safety, while the London brigade said it might not attend rubbish or small grass fires or help anyone shut in a lift during the strike. The FBU hit back at government statements that firefighters would continue to receive one of the best pension packages of any worker, even after changes to their pension scheme. This entry was posted in FBU, Fight the Cuts, Firefighters strike, Solidarity, The People's Assembly Derby and tagged Derby, Derby People's Assembly, Derby People’s Assembly against Austerity, DERBYSHIRE, Fire Brigades Union, Fire Brigades Union FBU, Fire Fighters Strike Nov 2014, Firefighter, Solidarity. Firefighters across England have begun a four-day strike in a row over pensions during one of the service’s busiest weekends of the year. 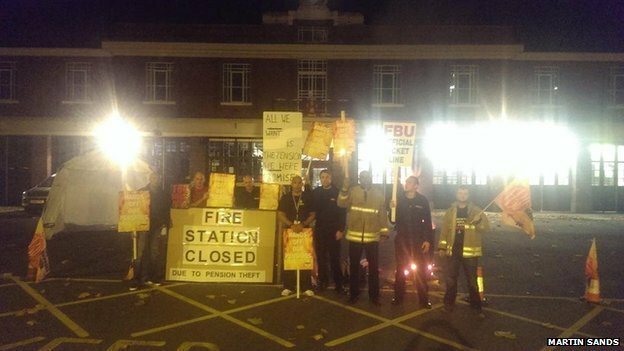 Fire Brigades Union (FBU) members walked out at 18:00 GMT and are due back the evening before Bonfire Night. Some fire brigades have warned the public could be left “vulnerable” and small fires may not be attended. This entry was posted in FBU, Firefighters strike, Firefighters strike action, Solidarity, The People's Assembly Derby and tagged Derby, Derby People's Assembly, Derby People’s Assembly against Austerity, DERBYSHIRE, Fire Brigades Union, Fire Fighters Strike Nov 2014, Firefighter, Solidarity.